The Beatles 50 Years Ago Today: February 20, 1967. Beatles Radio: The Beatles, Solos, Covers, Birthdays, News The Fab 4 and More! 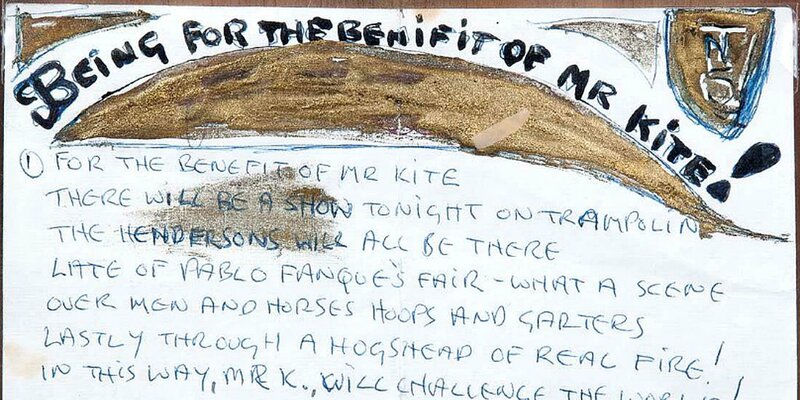 When the Beatles started work on "Being For The Benefit Of Mr. Kite" John had told George Martin that he wanted the recording bathed in circus atmosphere. Unable to trace an authentic hand-operated stream organ for the part, George realized that the required sound would have to be self-created inside Abbey Road using other means. So he got hold of old calliope tapes of Sousa marches and had Geoff Emerick chop them up into small sections, throw them in the air and re-assemble the pieces at random. The work was done in this 7:00 pm- 2:15 am session (although the effects were not superimposed on the Beatles' recording until March 29th), along with a rough mono mix of "Good Morning Good Morning" for acetate-cutting purposes.